The Best Occult Blogs from thousands of Occult blogs in our index using search and social metrics. We’ve carefully selected these websites because they are actively working to educate, inspire, and empower their readers with frequent updates and high-quality information. Also check out Top Occult Youtube Channels list for Top videos on Occult. Occult newsletter is a comprehensive summary of the day's most important blog posts and news articles from the best Occult websites on the web, and delivered to your email inbox each morning. To subscribe, simply provide us with your email address. About Blog Exploring all things paranormal, supernatural and unexplained. Follow this blog for news, views and opinions on the paranormal, supernatural, and cryptozoology Bigfoot, UFOs, ghosts, hauntings, and more. Facebook fans 4,576. Twitter followers 1,012. About Blog Follow to find everything you wanted to know about the occult, Hoodoo, or the NinjaCat, but were afraid to ask. San Francisco, CA About Blog Follow this blog for the latest news and articles for the armchair and practicing metaphysical skeptics. Facebook fans 1,211,168. Twitter followers 578,467. About Blog Occultspeak is devoted to the science of occult studies which is the vast ocean of knowledge. Here you will find articles related to many allied therapies such as Handwriting Analysis, Numerology, Vaastu Shastra, Pranic Healing (Phillipines method of healing), Face Reading,Dream Analysis to name few,which help in uplifting the human life and it's living. About Blog Occult Black Metal Zine is an online blog dedicated to promoting the best in underground black metal. Facebook fans 1,644. Twitter followers n/a. About Blog I'm Rena. Welcome to my blog a place for Demonolators and Magicians! By creating this blog my goal is to add more value to your world, a world that you possibly never believe that exist. The purpose of this blog is to show you and guide you to a world that we may not see without means it does not exist. The articles are suitable for beginners but also for advanced students in the Art of Magic. You will find here a collection of articles directed to both beginners and more advanced magick users. About Blog Occult Spirits is an online shop specializing in virtual astrology readings, tarot readings, and numerology readings. We also sell hand made jewelry. Los Angeles, CA About Blog A Blog about magical reading experience. Facebook fans 256. Twitter followers 819. About Blog I work with infernal and divine forces. I don't see angels or demons as my enemies. I've worked with both sides and have had only the best experiences with them. As you read this the forces you believe in may bless you. May you look through the lies of your enemies. I bless you with a powerful protection and positive energies. I wish you much loyalty and power! About Blog The Occultist is a blog for magickal and spiritual people. Find out more about crystals, astrology, magick and the occult. About Blog This is a companion blog to the online occult education, meditation and mysticism. It's full of articles, video and audio content designed to help you learn basic and advanced magick, and get the most out of the Magick. Facebook fans 1,749. Twitter followers 912. Denver, Colorado About Blog Morgan Drake Eckstein is a novelist and occult writer living in Denver, Colorado. He writes everything from science fiction and urban fantasy to erotica. Follow this blog to find his writings about all things occult, Wicca, Golden Dawn, witchcraft, paganism and more. Facebook fans 137. Twitter followers 1,591. About Blog The Occult Museum is a blog dedicated to collecting the strange, macabre and the supernatural. Discover wayward spirits, unsolved mysteries, grisly murders, macabre history, folklore and legends of old. Facebook fans 43,761. Twitter followers 1,949. United States About Blog Technoccult blog is authored by Klint Finley. Here he organizes and share information that he found interesting and exciting. This is a general interest blog for weirdos. Facebook fans 1,682. Twitter followers 4,135. Massachusetts, USA About Blog Exploring the realms of the occult and esoteric with authors and experts in the field. This blog is dedicated to providing the most in-depth and insightful podcast dealing with esotericism and mysticism in its various manifestations. Facebook fans 10,588. Twitter followers 11,556. About Blog -Study is the first and foremost blog about general ism. Its purpose is to inform people who are new in the area of ism as well as those already initiated, about the mysteries of this world we live in. Facebook fans 5,033. Twitter followers n/a. About Blog Occult Vibrations is a blog for people interested in the symbolic legacy of tattoo culture. Facebook fans 826. Twitter followers n/a. Suriname About Blog This blog is about Occult articles, Invoking spirits, Summoning spirits and more. About Blog THAVMA is dedicated to the serious Christian magician. We seek to raise awareness of Christian participation in the occult community, and to promote those authors, teachers, and groups who work for the community betterment. Facebook fans 1,350. Twitter followers 27. About Blog Derek Muk is a writer and social worker from California. His short stories have appeared in various online and small press magazines. Follow this blog to find information on occult files, news, interviews, reviews, readings, short stories and more. About Blog This blog offer a range of tarot, pendulum readings and more. Comox, British Columbia About Blog A collection of esoteric and occult writings, artwork and services by a variety of artists, writers and practitioners in the field. Facebook fans 425. Twitter followers 3. About Blog This blog is a place where you can find spells of various sorts and place where magic is found and explored. Follow this blog to find articles on collection of topics on magic, the occult sciences and ancient religions. 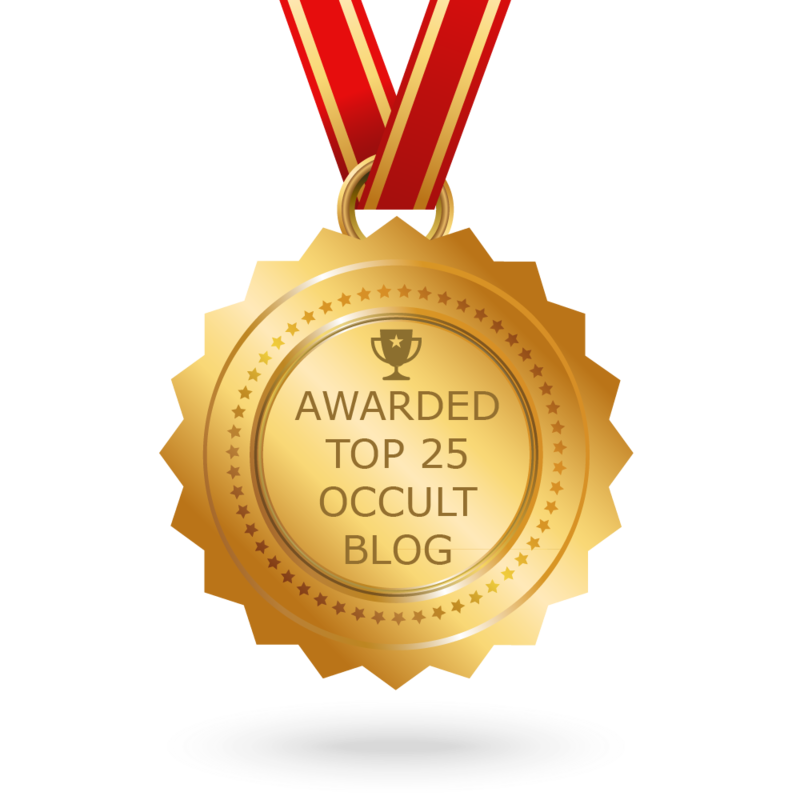 CONGRATULATIONS to every blogger that has made this Top Occult Blogs list! This is the most comprehensive list of best Occult blogs on the internet and I’m honoured to have you as part of this! I personally give you a high-five and want to thank you for your contribution to this world.